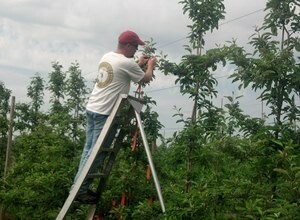 Craig Kahlke has been an Area Extension Specialist for the CCE-Lake Ontario Fruit Program for the past six years. He specializes in Fruit Quality Management, which expands his interests to include applied research in the myriad of factors that can affect final fruit quality. Craig's primary responsibilities include harvest maturity testing of apples, postharvest storage and technology of tree fruit/berries, along with marketing of fresh produce. Food safety has been a major emphasis of his programming for the past 3 1/2 years. Craig has an M.S. in Plant & Soil Science from Texas A&M University-Kingsville and a B.S. in Biology from SUNY Geneseo. 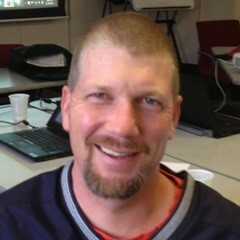 Craig has worked in agriculture-related positions in research and extension for most of the past 18 years.